Experience the perfection in design of this Responsive, Fast and SEO-Friendly WordPress Theme. ZeeTheme crafts Beautiful and Responsive WordPress Themes and Plugins to make your website more awesome. Our Premium WordPress Themes are responsive, fast and SEO Friendly and focus on simplicity, clean design, and ease of use. We designed our themes and plugins from the ground up to promote integrated ease-of-use while eliminating the chance that something will go wrong. Yet, if something goes wrong, ZeeTheme 24/7 Support is available for you. If you’re a beginner, don’t worry, we have lots of patience! We make all our themes as easy to setup as possible. Documentaion and Video tutorials are available to help you set up your theme easily. Yet, something does go off the rails, we are always here to assist you in getting back on track fast. We update our WordPress Themes and Plugins regularly, not just to keep up with changes to WordPress, but to improve them. And we do it by listening to our users and understanding what they want. Each of our WordPress themes has the small details which make the big differences. We go the extra mile to ensure your site is far beyond average. All our themes come with an SEO-ready structure, plus a clean and optimized source code, which basically means that Google will love your site. And we’ve stripped away all the non-essential features used by bloated and slow multipurpose themes to optimize your website performance and make your website lighter than a feather and fast as a rocket. Our themes are guaranteed to look and function great in any kind of display or device, from large TV monitors to the smallest mobile phones. 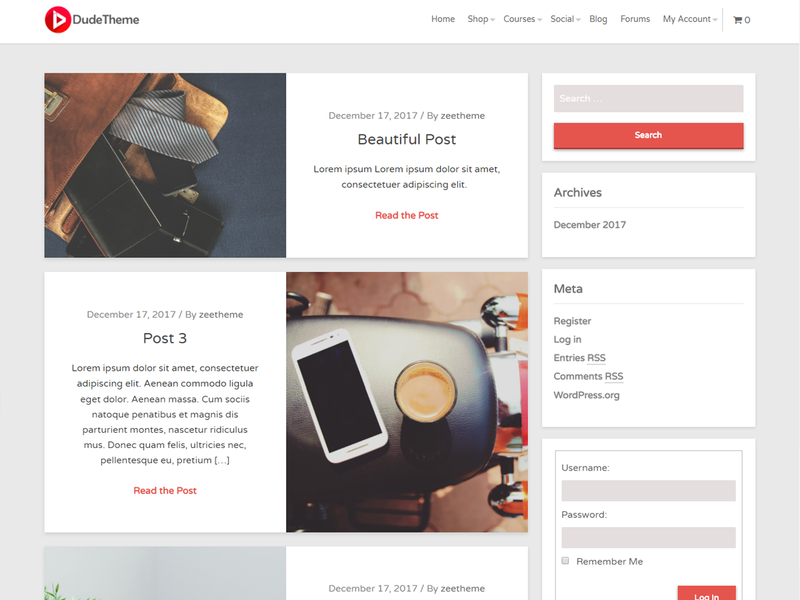 Our Themes are fully schema.org microdata integrated WordPress theme, which boosts your communication with search engines. Our themes and plugins use the latest and most stable coding practices to make your site clean, efficient and Secure. Our theme is compatible with all the popular plugins from trusted and reliable developers , including WooCommerce, LifterLMS, WPML, BuddyPress, bbPress and all major Page Builders. All our themes and plugins are localized, which means that they can easily be translated into your language. You can take advantage of over 600 icons in your content and design. Font Awesome is built right into our themes. All the themes and plugins purchase comes with a 7 Day Return Policy. So, you can buy our product without any risk. If you are not happy, just ask for your money back.